YES, your horse can permanently die. Your horse can take damage from various sources. While your horse is unlikely to die from enemy gunshots or wild animal attacks, it can be gravely injured from falls and trips. You can still use the Horse Reviver item (always carry a few of these) to revive and heal your horse but this is only applicable to injured horses. However, if a horse has suffered a really bad injury… you’ll have an option to kill it and end its suffering instead. Dead ones stay dead and no items can resurrect them. 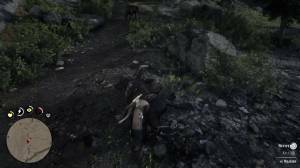 High falls or getting run over by a train are some of the few situations that can instantly kill your horse. When this happens, you can always reload a previous save or wait for a stranger along a main road to steal his horse. Since bonding with a new horse can be time consuming, you should consider just reloading your latest save file. Comments for Can your horse die?